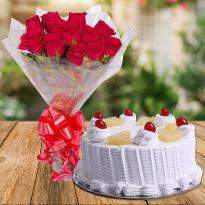 It is indeed not easy to imagine a birthday or anniversary celebration without a delicious cake. 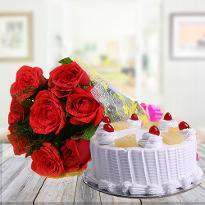 Cakes have become an integral part of any celebration. 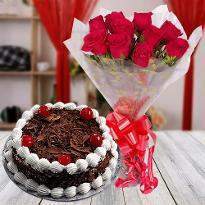 Cake along with flowers add more sparks in celebration. 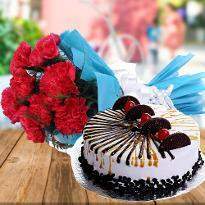 To order cake and flower online in Guwahati, you can prefer Winni. 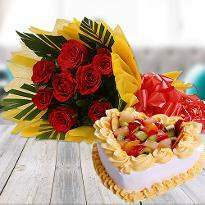 Our delivery service will definitely add more love and happiness in your celebration. 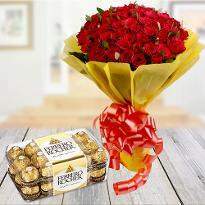 If you are away from your near and dear ones then you can order and send gift to Guwahati to make them feel extra special. 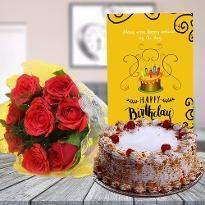 Celebration of birthday or anniversary are very common and cities like Guwahati have its own essence and tradition which is getting combined with the occasion and celebration. 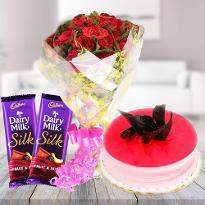 Order gifts online in Guwahati and get it delivered to your doorstep. 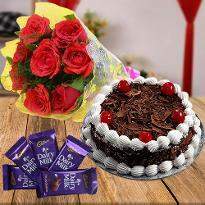 There is also a craze of midnight gift delivery where the gift is delivered just before the occasion starts. 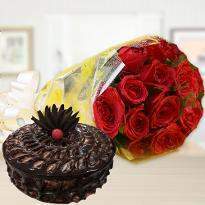 Winni also provides online midnight gift delivery so that you can also surprise your near and dear ones. 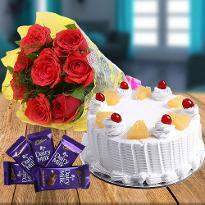 You can send a token of blessings and wishes to your loved ones through Winni in the form of gifts. 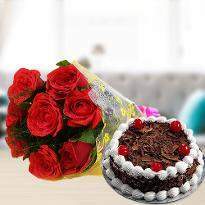 A heart-shaped bouquet of red roses along with a thrilling chocolate truffle cake on your friends birthday would be the perfect gift. 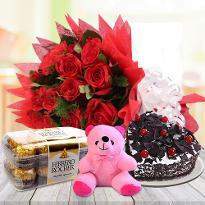 You can also send a heartwarming gift hamper at your loved one's doorsteps. 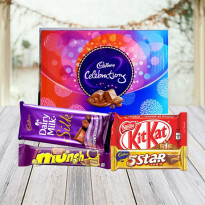 You can view the collection of unique gift hampers at Winni. 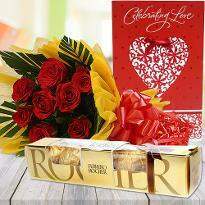 It will be challenging for you to find these gifts at the physical gift stores. 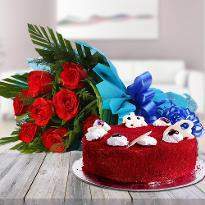 Local gift stores will not be able to fulfill your eagerness to grab the best, but Gifts present at Winni can inevitably draw your attention. 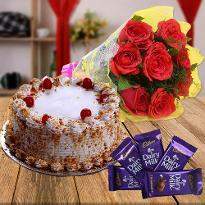 Order gifts online to enhance the occasions. 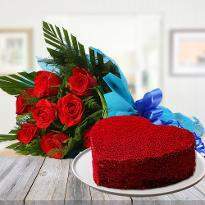 Gifts are the medium to brighten the day of your near and dear ones. Winni understands the emotions attached with gifts. 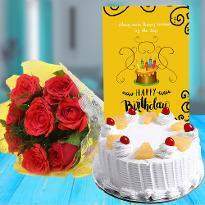 Whether its the birthday, anniversary or any other special day, you can convey your warm wishes and blessings to your loved ones. 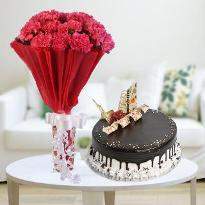 Our gifts include delicious cakes, scintillating flowers, chocolates and many more. 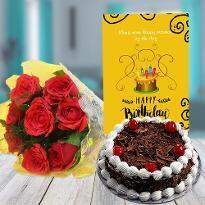 You can send a combination of bright flowers and luscious cakes to your companions, families and relatives to wish them on their birthday or any other special day. 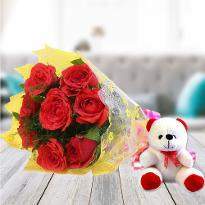 Gifts are the method for communicating your adoration and fondness. 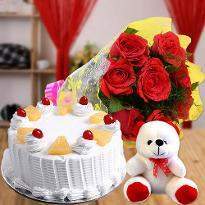 In case you are busy in and don't have enough time then send gifts online to give a wonderful astonishment to your dear ones. 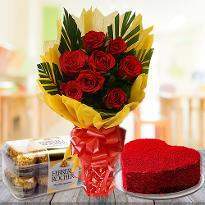 Also, if you are away from your sweetheart and you are sad that you will not be able to visit your sweetheart's place on special days then don't stress significantly over it. 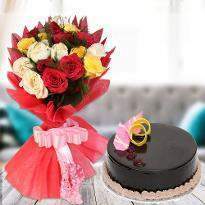 Amaze her by sending valuable gifts from Winni.